Have you ever wondered why Matlab does not have standard GUI date-handling components? Matlab has many built-in date-handling functions (calendar, date, datestr, datenum, datetick, datevec etc.). Unfortunately, this built-in support does not extend to Matlab GUI. If we need a date-selection drop-down or calendar panel we have to design it ourselves, or use a third-party Java component or ActiveX control. Luckily, we have a much better alternative, right within Matlab. This relies on the undocumented fact that Matlab uses JIDE components for many of its GUI components. As already explained earlier, JIDE controls are pre-bundled in Matlab (/java/jarext/jide/jide-grids.jar under the Matlab root). You can find further details on JIDE Grids in the Developer Guide (pages 28-35) and the Javadoc documentation. For the combo-box (drop-down/popup menus) controls, we obviously need to modify the displayed size (in the javacomponent call) to something much more compact, such as [10,10,100,20]. These components display one of the above panels as their pop-up selection panels. Users can access and customize these panels using the combo-box control’s getPopupPanel() function (or PopupPanel property). Numerous other customizations are possible with these JIDE components – have fun exploring (my uiinspect utility can be quite handy in this)! Just remember that JIDE evolves with Matlab, and so JIDE’s online documentation, which refers to the latest JIDE version, may be partially inapplicable if you use an old Matlab version. The older your Matlab, the more such inconsistencies that you may find. If we have Matlab’s Financial toolbox, we can use the uicalendar function. Unfortunately, this control is not available if you don’t own the expensive Financial toolbox. If we only target Windows-based platforms, we could use third-party ActiveXes such as the Microsoft Date-and-Time-Picker (MSComCtl2.DTPicker.2), Microsoft MonthView (MSComCtl2.MonthView.2) or the Microsoft Office Calendar (MSCAL.Calendar.7) ActiveX controls. Depending on your installed applications, you may have other similar controls. For example, if you have Symantec’s EndPoint Protection (SEP), you have access to the SEP Date Control (LDDATETIME.LDDateCtrl.1). Of course, these controls will not work on non-Windows platforms, or platforms that do not have these ActiveX controls installed. We can also use other (non-JIDE) third-party Java controls from places like javashareware.com, swinglabs.org, downloadthat.com, sharewareconnection.com, easyfreeware.com, l2fprod.com, fileheap.com/software/components.html, swing-components.safe-install.com and many others. One specific example is NachoCalendar, from SourceForge.com. Finally, we could use some of the utilities posted on the Matlab File Exchange: uical, uisetdate, calender (sic) and several others. In my own biased opinion, none of these alternatives comes close to the ease-of-use and functionality of the JIDE components presented above. What do you think? Please add your comments here. Could you please explain how to change the date format of the DateSpinnerComboBox? I poked around with the findjobj tool, but it appears the format must be a java class? Currently it reads 30/06/10. How would you change it to appear as June 30, 2010? Thanks, Donn. I appreciate your help. Ok, I’m starting to love them java components in my GUI, but I still dont know anything about java. How would I initialize a date for the DateComboBox? Use my UIInspect utility or Matlab’s built-in methodsview function to explore the dozens of available methods. Thanks for your response and your patience. Java syntax is completely new to me, so I have great difficulty reading the doc pages online. Now I want the window to close when I push the OK button. How can I do that by using callback? @gunnar – there is no easy answer I think. If you wish, I could develop a small function that shows you how to do this – email me. 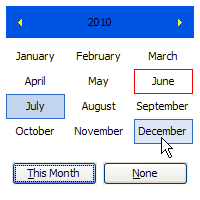 I created a DateChooserPanel with a ValueChangedCallback assigned to it, but it is not triggered when i change the month. Is there a separate callback for this? uiinspect only shows ValueChangedCallback. Is there any way to get a callback to trigger when changing the month? @Henric – clicking the month is not an actionable event in DateChooserPanel – only selecting a specific date is actionable. If you wish to select a month, use MonthChooserPanel instead. I’m trying to implement a callback for the selection from a DateSpinnerComboBox. Unfortunately, it does not appear to have a date selection model, as you show in your example. I bought your book, but it has the same info as this web page. I’m assuming this is more complicated, since it it has several components (text field, spinner, and DateChooserPanel). Do I have to create some kind of listener for each component? You are amazing! Thank you! This worked like a champ! Maybe this will go into the next edition of the book? @Amy – maybe I’m not sure at the moment if and when a second edition of my book will be published. A lot will depend on the question of how much will the upcoming Matlab 8 change the Java internals and interfaces. First of all thanks for posting this. I’m trying to add a DateComboBox in my GUI, but I need to be able to make some custom dates non selectable (and if possible also display them in another color). I think I need to override some of the java code (I found an example in jide forum), but I don’t know if it’s possible in Matlab. If it’s possible, how do I do it? Thanks a lot! It worked and it also changes de color of the non selectable dates to gray. But the correct method was addInvalidDate instead of removeInvalidDate. removeInvalidDate is for making the invalid date selectable again. I found out that you can also set a min date and a max selectable date easily with setMaxDate or setMinDate (calling them in the same way that addInvalidDate). I’ve just seen your edited comment. I want to change the selectable dates during the execution of my program depending on several things so I guess it’d be more simple to just use addInvalidDate, setMinDate and setMaxDate. Hey Yair, I am following your guide and I ran into a problem. What am I doing wrong? I’ve tried everything. @Ivan – this means that the hPanel was not created properly, or perhaps was deleted by the time your program got to the jModel assignment line. So how do I fix that? I followed your guide and used exactly the same commands up to that point. then it doesn’t report the error I mentioned above. But it still doesn’t change the ability to select more dates on a calendar. @Ivan – it is impossible to know exactly why this happens without debugging your code and knowing more details about your environment (platform, Matlab release, java version – basically what ver reports). Contact me via email (altmany at gmail) with all the details and I’ll send you a proposed quote for solving this. I am not too clear about how to include this in my own GUI. I have an app for which I created a GUI using GUIDE. How do I embed calendar tools in my GUI? @Varouj – use the javacomponent function. I have a MATLAB GUI app that uses the DateChooserPanel. The app works fine on my Windows machines and on most of my Linux machines too. However, on one of my Linux machines, I get the following error when starting the application: “Unauthorized usage of JIDE products. You get this message if you didn’t input a correct license key.” The application runs, and the DateChoosePanel seemingly works other than returning a null date upon click. The linux box that I have this issue on is running V2.6.18. Another linux box running 2.6.18 runs the application just fine. I did not install any JIDE products/licenses on any of the machines this application works fine on. I thought JIDE automatically is part of MATLAB and no additional license is necessary. Any ideas from anyone what’s going on here? My recent treeTable utility illustrates both of these workarounds. I get calendarViewer, which is not filled. It looks like a 4×3 blue boxes with control arrows. Sorry, I found the reason of problem. Argument [10,10,200,200] in javacomponent define too small width and height. thanks a lot. You make my life a bit simpler with JIDE calendarViewer. Is there some way to highlight holidays and colorize background in calendarViewer? The name ‘ValueChangedCallback’ is not an accessible property for an instance of class ‘com.jidesoft.combobox.DateChooserPanel’. Thank you very much Yair. One last question. I would like to delete the jpanel and not just hide it [ jPanel.setVisible(false) ] like someone mentioned before. Is there a command for that ? Error : Warning: File ‘jPanel’ not found. I wrote hContainer – I did not write ‘jPanel’. I have create a DateCombobox abnd I am having trouble customizing the PopupPanel using the getPopupPanel method. It appears that the PopupPanel only gets created once the down arrow button is clicked and gets deleted once a date has been clicked, thus I am unable to get the handle and make changes. An empty matrix is returned, implying the PopupPanel doesn’t exist yet. The font in the PopupPanel does change, but doesn’t persist until the next instance, implying the PopupPanel got destroyed and recreated. Lastly, I used your uiinspect tool and noticed the isPopupVolatile method returns true. I tried to change this using the setPopupVolatile method to false, but to no avail. Any ideas how I can access the PopupPanel of a DateCombobox? Thank you. Implementing this code worked perfectly. I have create a DateCombobox and I am having trouble about how to retrieve the selected date. Maybe I posted to the wrong blog…. Here is the date selection. I want to know is there any function or component can do the hour, minute and second selection? There are also the related TimeFormat (default=”) and TimeZone properties that you can set. If you need to interact with the time-related aspects of the panel, then you will need to investigate this yourself or hire me for a short consulting gig, since it’s beyond the scope of a simple blog comment. 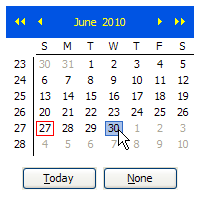 In my application, I have coupled the appearance of a DateChooserPanel with the selection of a pushbutton/calender icon. Here is my issue: the pushbutton is located in the middle of a number of edit/text boxes. As such, when the DateChooserPanel is made visible, it appears on-top of or behind the other objects around it, and stays that way even after I ‘close it’ (i.e. set visible to false). The only way I could figure to make a seamless appearance/disappearance of the DateChooserPanel involves creating and then deleting the java component handle ‘hPanel’ every time the pushbutton is selected. This works, but I was wondering if there was a better way? I have read in normal Java script, I would need to create a JLayeredPane or make use of GlassPane. I am using this Calendar. I was wondering does this have the functionality to resize itself if you change the screen. It would be great if you help me in this process. I only see day 1-9 of the month, all the other days are indicated with three dots (like this …). I work on linux matlab 2015a. On windows, matlab 2014b it works properly! @Efraim – try to enlarge the component so that it has more space to display the 2-digit numbers. Works perfect! Thanks for the help. how to set the default date that Shows up when inititalizing the DateSpinnerComboBox? % --- Executes just before AddEditDoc is made visible. The problem: if I use Debug mode it works correct (put date day into this edit_text Object) but in normal mode it stays empty. I thought a lot about some local variables deleted after exiting from function but still can’t figure out it. @Mikail – try to add drawnow; pause(0.1) after you call javacomponent. Yes, that works! Thank you! 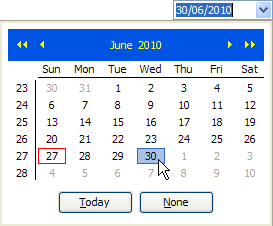 I have inserted Date selection components into my MATLAB GUI but I do know how I can make a handle for the Date selection components in order to update the date which is selected by user. Mohammad – read the post carefully: I explained near the bottom how you can get the handle and set callbacks to get the user-selected date. Many thanks for your help…. I noticed that for the DateComboBox, the current date value was outlined in red (by default) and remained that way even when the selection was changed. Is there any way to move that red outline to another initialized date? 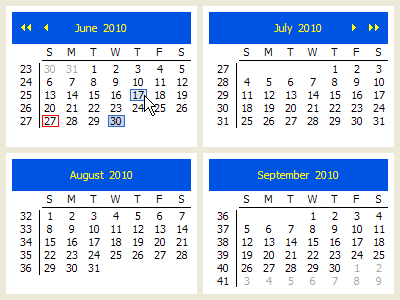 Also, I wanted to set a selectable date range, was there any way to do that easily (say by greying out non-valid dates)? Thanks in advance for the help! Similarly, you can use jDateModel.addInvalidDate(calendar) to add specific invalid dates within the relevant min/max dates. You can set the date chooser to have a different initial (default) date value, but the current date is always marked on the calendar and AFAIK this cannot be avoided. 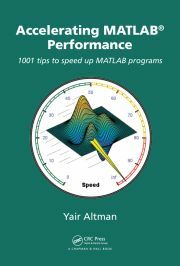 If you’d like any additional assistance with your Matlab project, please contact me by email for a consulting offer. Thanks so much for your help Yair, code worked perfectly, you’re a life saver.